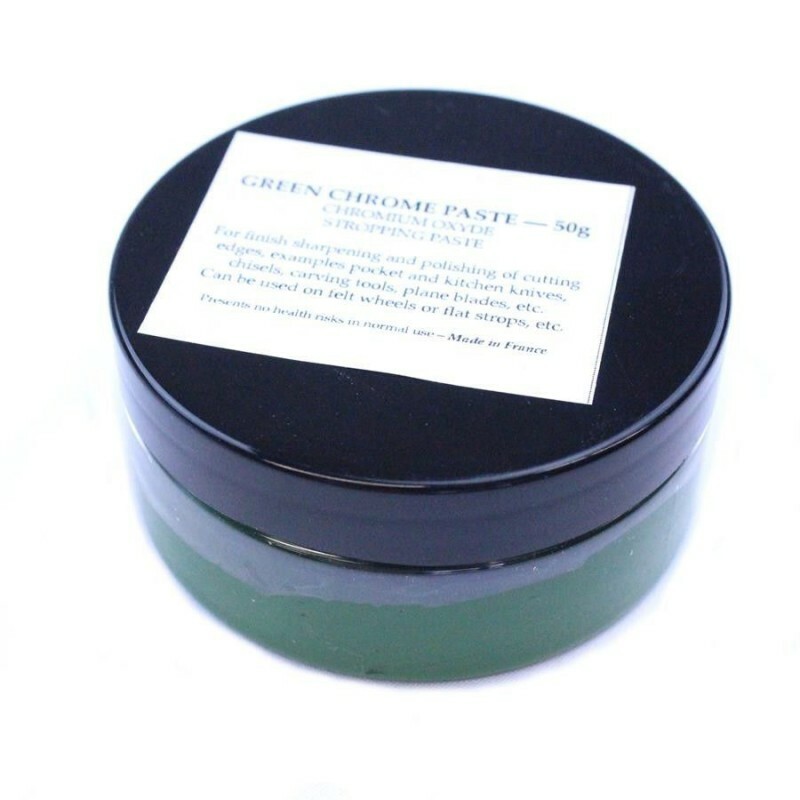 Our own green chromium finishing stropping paste for straight razors helps ensure a smooth edge when used on a strop prior to stropping on bare leather. Approx. 50g net. An information and care sheet for chromium and finox pastes.